Business Advertisement is very important especially for the business that needs more profits. No business will ever grow without advertisement and the best is to have a professional who can manage this advertisement for your company. 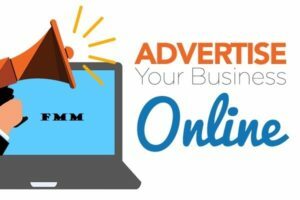 In this article we will be showing you why is necessary to advertise your business and why do you need to entrust your business to the hand of expert who can help you target the right audience and give you good result. The use of agency in business advertisement has long begun in the early days of man just that we don’t see it as agencies back then. In Nigeria, the earliest form of advertisement was done by the town criers (agent). They convey information from the king (the principal) to the people (the third parties), even though there were limited act to which the town criers can do, they apparently relay only information to the masses. Other forms of advertisement then include drawings and signs on mountains. The terms “agent”, “principal” and “third parties” will be explained in details as you read through this article. As years passed, advertisement began to take a new dimension as producers, individuals and companies’ starts looking for means to get their products and services desired attentions for their target consumers. Then, the radio, TV, newspapers gained their popularity in advertisement. Though this means is still in use today as even agents use this means to get the principal’s products known. Just like a very common saying that says “advertise or remain unknown”. For a business to actually succeed, it does need to be known, and this can be considered as the first goal for a supposed or willing to succeed business. The ground you cover or say the range of location where your business is known now depends on the work or effort you put into the advertisement. Although in certain situation, there might be no need to advertise if the location of the business favours reasonable returns or in a monopoly situation where only a business is available in a particular location where people are actually interested in what the business offers. A typical example is a provision store located in or around a student hostel such that, no other provision store is located or allowed to operate within that environment. In such case, the student or people (consumer) located within that area have little or no choice in getting the goods they want from other store but to keep doing business with store closest to them. This pin-points the importance of location to the success of a business, and if you carefully review the example above, it is not just the location above that contributes to the success but a location with abundant target consumers. Another thing to also consider is that, what if the business is located in the right place (it’s having its target consumers) but willing to expand, here it has a considerable amount of consumers but it’s willing to connect to other people in other location. Example is an industry that produces a particular product in a town in Ekiti state but will like to sell its products more in Lagos or Abuja. You might want to ask these questions, that why locate in Ekiti and sell in Lagos/ Abuja? The town in Ekiti will provide a lot of cheap labour. People might or will definitely pay more for the product in the city as far as they are interested in it. This also has its own disadvantage(s) too but it all depends on what the industry wants depending on the choice they make when they weigh their options considering the advantages and the disadvantages associated with such decision. Another thing that one might even want to put into consideration is the ease at which advertisement/marketing is done in our current modern day. There are convenient way of advertisement for business called digital marketing and even individuals referred to as social influencier can by intention or unintentionally promote a business. The question we may now ask is; if advertising a business now seems easy, why do we still need an Agency to advertise our business? If advertising a business now seems easy, why do we still need an Agency to advertise our business? Click To TweetThis question will be best addressed if we look at the ROLES OF AGENCY IN BUSINESS ADVERTISEMENT. 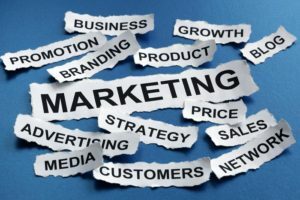 This article will also enlighten you about the advantages and the disadvantages of using an agency in Nigeria to advertise your business. With this, you can make your decision when you weigh your options. Aside that we will also be looking at the things you need to look out for when choosing an agency for your business advertisement. Let’s start with the word “agent”. We simply can’t define agent without mentioning the word “principal”. Well, in this case where the focus is on business advertisement. An agent is a person that is employed to perform a task for someone or a person that represents someone when dealing with a client (final consumer or third parties). When someone been represented or whose task was performed by the agent is called the PRINCIPAL. Agency on the other hand, can be simply defined as the relationship that exists between a principal and an agent. In a broader sense, agency is a legal term that represents such relationship and it can be defined as a fiduciary relationship that exists between the agent and the principal. It is important to note that, the agent as well as the principal can be a single person, a group of people, a company, group of companies, and so on. I think you can now understand, the agent, agency, principal and third parties will have used earlier in our introduction. You should see more of that as you read through this article. This section of the article will try to explain the reason why you should choose to advertise your business with an agency in Nigeria, that’s supposed you were already convinced on the need for you to involve an advertisement agency in your business (I still ask myself, who wouldn’t want such offer for their business? …Thinking!). It is advisable to choose an agency that is located or available in the same country or area where your target consumers are located. With this, there is a better understanding between the principal, the agent and the third parties, as the customs and practices of such areas are checked. Checked in the sense that, there won’t be conflict arising from the way of business or the way the advertisement is done and the custom and practice of the people, or let’s say the culture of the people. Nigeria is a country known for its high sensitivity for culture and religion, so agencies in Nigeria knows how to put this property in check. Virtually, most advertising agency globally (the ones who actually live up to the task of an advertising agency) all have similar or almost similar roles. These roles will be discussed later on but first, let’s still try to get more familiar with why an agency in Nigeria is best for business advertisement. For legal reasons, the law that binds the agent-principal relationship for a country might be different from another country and if you have a business in Nigeria, it is better to choose an agency bonded by the laws of the country. Now, let’s dive right into the roles of advertising agencies in business. Just as the task of getting your business the desired popularity and also simultaneously improving on the products and services offered can be so overwhelming such that one can easily flop on both ends if care is not taken. It is more or less like chasing two rats running in opposite directions at the same time; you will end up not catching anything. The advertisement agencies provide a highly creative content for your business while you focus on improving what your business offers. The advertisement agencies provide a highly creative content for your business while you focus on improving what your business offers. Click To TweetThese agencies will handle every aspect of your business campaign, and also development of marketing strategies to ensure optimum profit. A reputable agency takes care of copy-writing, product branding, printing, they might have group of graphics designers, web developers, social network marketers (influencers) in their team. All these set of people come together to create contents that attracts potential customers to your business. Agencies also employ the use of media purchasing to promote a business by using radio, TV, magazines and newspapers to reach out to potential customers. 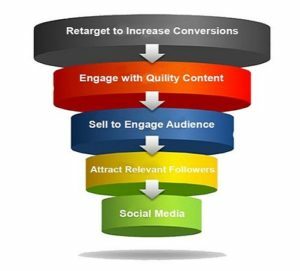 The choice of media depends on the budget available for the task as well as the number of effective target customers expected from the results of each campaign done through media purchasing. This point also led to what is called TRACKING OF RESULTS. Agencies don’t just advertise your business and sit down and be expecting potential customers to just come, they analyse every outcome of each campaign done, if there is a lower turn up to what is expected, the experts check the factors that might responsible for such and try to find a solution to such low turn up cases. And if there is a problem on the principal ends, the agents will discuss it with the principal and finds a resolution. The agent must always treat the principal’s business as his own. 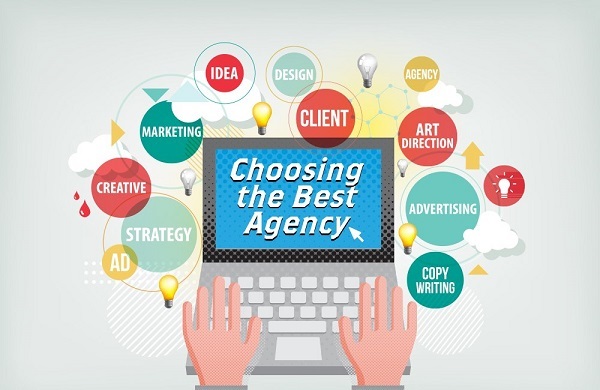 We have actually discussed the advantages of using an agency in business advertisement as we study the roles of agencies in advertisement of business, though there is more to it but we will like to keep things simple. The few disadvantages will can come up with are cost of operation and when things go sour. First, let’s address cost of operation. Cost of operation can be a disadvantage or limitation for business with low profit returns and low capital, paying an advertisement agent to run the business adverts might be too much for the principal to bear. But truth be told, advertisement handled by an agency properly will surely yield a reasonable result; they say you spend money to make more money. Advertisement handled by an agency properly will surely yield a reasonable result; they say you spend money to make more money. Click To TweetAnd one can also select from range of plans offered by the agency. There are plans that fit well for small businesses and principals with little capital to run their business adverts. The second point is when things go sour, what we meant by this is that when issues arise between the principal and the agent, we are humans, so there is a chance of conflict to occur between the two parties but lucky for agencies there are law binding each acts, be it a written or oral agreements. As well as other legal rules to maintain the conducts and acts of agencies, an Agency that want more recommendation will give you good service. Go For Agents With Good Reputation: Make a research on the agent, contact principals that have worked or still dealing the agent in question before and if you get a reasonable positive feedback, you can then decide or proceed to enter an agreement with the agent. You can check Femstic Marketing & Media for this job. Cost Result Check: the fact that you pay high for something doesn’t make it the best; a lot of people make this mistake especially on the consumer ends. Analyse the price you pay an agent to the effective customers you get in return. If it is worth it, then you go for it. Choose Agents That Understands and Abides by the Law: Also ensure that the agent you are dealing with not only abides by the law but understands the consequence of a bridge in agreement. Always make everything clear to your agent, don’t just assume they know what you want to avoid future conflicts. Go for Agents with Several Marketing Strategies and Plans: For each business size, like plans for a large scale business or a small scale business, and even business that falls in between a large scale and small scale. The last point is to go for agents with a team; a one-man agent is not always the best option. Agents that have marketers, content creators, business analyst and so on are always the best in ensuring reasonable or desired results. Those who understand marketing will make more profits. 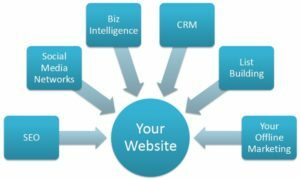 No matter how small or big your business is, you need marketing and you need an expert to handle this for you. An Advertisement Agency knows where to get your targeted customers and they know how to present your business in-front of them. So, instead of giving yourself problem on how to find these people let your agent do this for you. One thing we will say is; if you have a very low budget, an Agency will help you find a place to advertise and get the best result that’s while people used to say facebook is the right answer for your audience needs. Facebook is the largest social media site and is the best place to reach your potential buyers because you will be able to reach their using different demography. Many Agencies make used of facebook and they give good result. If you have low budget you might need to look at the need of using Instagram also. For example, we tried to run ads to eCommerce store last month. We used facebook and instagram. We created Instagram ad differently and facebook ads differently and we are able to get good result from Instagram than facebook on the same products and the same audience with lesser cost. So, Agencies will know what will work for your business type and they will make sure you get good result. We hope we have been able to convince you on the important of using agent or the benefits of advertising your business? If you want an Agent that will give you good result, we will recommend Femstic Marketing & Media. We have experts in different field who knows what you need to get the desired result. We are Digital Marketing Agency In Nigeria that take pleasure in giving our clients good result. 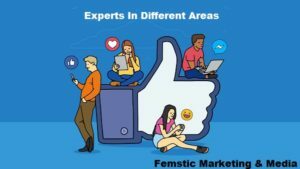 Working with Femstic Marketing & Media will be the best decision to make and we promise to make your small business big with our marketing strategy. You can check our contact page to see how you can work with us. Or you check the top or the footer of our website to get our phone number. If this articles has helped you to get some fact about your business and will surely help you to take your business to a next level. Please, share wit your friends on social media who knows, they might have been looking for this type of content. Comment are No1 Tactics that makes us understood that you enjoyed our content. If you really enjoy this content on the needs to advertise your business with an Agency please, comment bellow, tell us about your experience in marketing online and in working with Agencies. We will appreciate your feedback a lot.